February 2, 2018, 7:30 pm – Members of the Mississippi Fine Arts String Trio (Trio-in Residence at Millsaps College, Marta Szlubowska, violin, Alejandro Encinas, viola)) will be joined by Veronica Parrales, cello, Julia Kirk, violin and Kenneth Graves, clarinet in music by Haydn and Mozart. The beautiful Clarinet Quintet by Mozart will be performed that evening. Please join us for this Free concert at the Recital Hall at Millsaps College, Jackson, MS.
February 3, 2018, 7:30 pm – Mississippi Symphony Orchestra will be performing their Pops concert with the wonderful Radiance ensemble at Thalia Mara Hall downtown Jackson, MS. Please go to Mississippi Symphony Orchestra for details and tickets. The night at the symphony you don’t want to miss! Saturday, September 23, 7:30 pm. – Pops I, Mississippi Symphony Orchestra, Thalia Mara Hall, Jackson, MS. Marta Szlubowska, Concert Violinist, Crafton Beck – conductor. Thursday, September 21, 7:30 pm. – Symphony at Sunset, outdoor pops concert at Cedars in Fondren, Jackson, MS. Marta Szlubowska – Concert Violinist, Crafton Beck – conductor. Thursday, September 14, 7:30 pm Mobile, AL. – Marta Szlubowska, violin soloist, USM Symphony Orchestra. Brahms Violin Concerto in D Major under the direction of Maestro Jay Dean. Saturday, September 9, 7:30 pm St. Andrew’s Cathedral, Jackson, MS. – Chamber I, Mississippi Symphony Orchestra. Baroque Music including Bach’s beloved Brandenburg Concerto No. 5, Marta Szlubowska – Concert Violinist and solo violinist, Amulet Strange – flute, Shawn Leopard – harpsichord, Crafton Beck – conductor. Tuesday, August 15, 7:30 pm Livingston Chapel, Madison, MS. – Benefit concert for the Mississippi Chamber Music Guild. Pablo de Sarasate – Gypsy Airs, Marta Szlubowska – violin, Danuta Szlubowska – piano. Saturday, October 22, 2016, 2pm, Colbert Commons, Forest, MS. – By the popular demand, Marta Szlubowska Ensemble, a 7-piece professional ensemble of strings and accordion, will be performing a program of familiar classical and popular music including Dvorak’s Humoresque, Bartok’s Roumanian Dances as well as Jealousy and El choclo Tangos among others. Please come and enjoy this fun afternoon with us! Sunday, September 27, 2015, 5 pm, Evensong Concert (after a short 30 min. service), St. James’ Episcopal Church in Fondren, Jackson, MS. A romantic J. G. Rheinberger Suite for organ, violin and cello. Michael Beattie – organ (and MSO’s Executive Director), Marta Szlubowska – violin (and MSO’s Concermistress) and Jesse Christeson – cello (MSO’s Principal Cellist). For more information please call: (601) 982-4880. Sunday, September 20, 2015, 6 pm, “A Festival of Hymns and Anthems”, First Presbyterian Church in Jackson, MS. Bill Wymond – Conductor, Marta Szlubowska – Concertmistress. For more information please call: (601) 353-8316. Monday, September 14, 2015, 7:30 pm, Ford Recital Hall, Millsaps College, Jackson, MS, Faculty Showcase! Among other performers, Mississippi Fine Arts String Trio-in-Residence will perform the exciting Beethoven String Trio in G major. For more information, please contact Milllsaps College at: (601) 974-1000. Friday, September 11, 2015, 7:30 pm, Sclater Concert Series, Williams Recital Hall, Aven Hall, Mississippi College, Clinton, MS. Vivaldi’s favorite “Summer” Concerto for Violin Solo, strings and harpsichord. Marta Szlubowska and friends. For more information please call: (601) 925-3440. Sunday, November 30th, 10:30 am, Northminster Baptist Church, Jackson, MS. Handel’s Messiah with the Mississippi Symphony String Quartet (to learn more about MSQ, please go to the Ensembles page on this website). Saturday, November 22nd, 7:30 pm, Thalia Mara Hall, Jackson, MS. Bravo II: Scheherazade and the Sorcerer’s Apprentice performed by the exciting Mississippi Symphony Orchestra! Marta Szlubowska – Concertmistress, Crafton Beck – Conductor. Please go to www.msorchestra.com. Tuesday, November 18th, 6 pm, Mississippi Museum of Art, Jackson, MS. Unburied Treasures Series. Ensemble Polonaise (please go to Ensembles) performing music of Spain. Please go to www.msmuseumart.org and and click on Events. Saturday, November 15th, 7:30 pm Clinton, MS. Fundraiser for the Arts Council of Clinton. Taste of the Arts and the music of the 1920s. With Janusz Szlubowski – piano and accordion (please go to Marta Szlubowska Ensemble to learn more about Janusz). Please go to: www.artscouncilofclinton.org to support the arts in Clinton. Saturday, November 15th, 3 pm, Milllsaps College Recital Hall, Jackson, MS. Millsaps Conservatory of Music Student Recital, Julia Kirk – violin, Danuta Szlubowska – piano. Music by Wieniawski, Mazas and others. Please go to: www.millsaps.org and type in Millsaps Conservatory of Music. Thursday, November 13th, 7:30 pm, St. Luke’s Episcopal Church, Jackson, MS. Jackson Choral Society Chorus and the Mississippi Symphony String Quartet (go to Ensembles). Music of Telemann, Gershwin, Norris and others. Monday, November 10th, 7:30 pm, Broadmeadow United Methodist Church, Jackson, MS.Inaugural Concert of the Mississippi Chambre Music Guild, Marta Szlubowska with Melody Ng, piano (University of Alabama, Huntsville) and Jesse Christeson, cello (Mississippi Symphony’s principal). Music of Prokofiev, Mendelssohn and others. Saturday, November 8th, Thalia Mara Hall, Jackson, MS. Pops I, Broadway Pops International with the Mississippi Symphony Orchestra. Please go to www.msorchestra.com. Monday, November 3rd, 3 pm, Millsaps College Recital Hall, Jackson, MS. Millsaps College Student Recital. Mozart with Julia Kirk – violin/viola (go to Ensembles, then Duo Vivace or go to Marta Szlubowska Ensemble to learn more about Julia). Friday, October 31st, 7 pm, Bennett Auditorium, USM Campus, Hattiesburg, MS. Marta Szlubowska, violin (Concertmistress of MSO) and the University of Southern Mississippi (USM) Symphony Orchestra, Jay Dean – conducting. Performing the incredibly beautiful Korngold Violin Concerto in D Major! Admission is FREE! Tuesday, September 30, 7:30 pm, Mississippi Fine Arts String Trio (Faculty Trio), Millsaps College’s Ford Academic Complex. Marta Szlubowska, violin, Alex Encinas, viola, Taylis Fernandes, cello, will be joined by Lynn Railey, piano (Millsaps faculty). Performing works by Mozart, Bach, D’Rivera and Beethoven’s monumental “Archduke” Trio. Monday, September 15, 2014, 7:30 pm, Ford Academic Complex Recital Hall, Millsaps College, Jackson, MS. Faculty Showcase, chamber music (Brahms Piano Quartet) and solo violin (Szymanowski “Source of Arethuse”). Free. 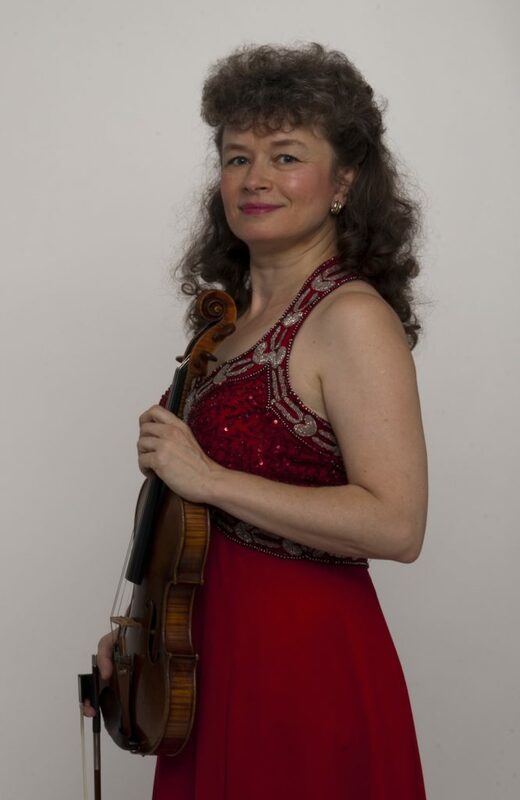 Sunday, August 17, 2014, 3 pm, Fondren Presbyterian Church, Jackson, MS. Marta Szlubowska Ensemble, works by Kreisler, Vivaldi, Bartok, Gade and many others. Strings and accordion. Tuesday, June 24, 2014, 7:30 pm, Millsaps College. Chamber music concert #2, works by Bach, Mozart, D’Rivera, Beethoven, Piazzolla. Millsaps Chamber Music Festival. Monday, June 23, 2014, 7:30 pm, Millsaps College, Jackson, MS. Chamber music concert #1, works by Beethoven, Brahms, Debussy (Violin Sonata). Millsaps Chamber Music Festival. Thursday, May 29th, 7 pm, Fowler Hall, St. James Episcopal Church in Fondren (Oak Ridge Rd. ), Jackson, MS. Benefit Concert for Julia Kirk (17 year old violinist/violist/pianist, daughter of Marta Szlubowska), who is raising funds to go to Interlochen Arts Camp this summer. Julia and her family will perform an exciting and fun program including works by Mozart, Ravel, Khachaturian, Wieniawski, some gypsy music (with accordion), folk as well as show tunes. Refreshments will be served after the concert. We hope you will join us for this special evening of music-making and fellowship! Tuesday, November 19th, 5:45 pm, Mississippi Museum of Art, Jackson, MS. Ensemble Polonaise will be performing as part of the Unburied Treasures Series. Music by Monti, Schubert, Saint-Saens and others. Marta Szlubowska (violin), Danuta Szlubowska (piano), Julia Kirk (violin and piano), and Janusz Szlubowski (accordion). For more information please go to www.msmuseumart.org. Saturday, November 16th, 7:30 pm, Thalia Mara Concert Hall, Jackson, MS. Verdi’s Requiem, Mississippi Symphony Orchestra and choruses from Millsaps College and University of Mississippi in Oxford. Marta Szlubowska – Concertmistress, Crafton Beck – Conductor. For more details please go to www.msorchestra.com. Thursday, November 7th, 7:30 pm, Aven Recital Hall, Mississippi College, Clinton, Mississippi. A fun concert of the Marta Szlubowska Ensemble (strings and accordion). Music by Gershwin, Wieniawski, Dvorak, Garner, Bartok and others. You will be able to purchase the DVDs of the ensemble to enjoy at home or give as gifts. Please join us for an inspiring and entertaining free concert followed by a reception. Saturday, November 3rd, 7:30 pm, Jackson Convention Center, Jackson, MS. Pops Concert I featuring Steve Lippia and the Mississippi Symphony Orchestra, Marta Szlubowska – Concertmistress, Crafton Beck – Conductor. Thursday, November 8th, 7:30 pm, Broadmeadow Church, Jackson, MS. Jackson Choral Society, Mozart – Vespers plus works by Vivaldi and Rachmaninoff, Marta Szlubowska – Concertmistress. Friday, November 30th, 7:30 pm, Ford Academic Complex, Millsaps College, Jackson, MS. The Millsaps Singers performing music of Rutter. Marta Szlubowska – Concertmistress, Timothy Cocker – Director and Conductor. Friday, November 16th, 7:30 pm, Galloway United Methodist Church, Jackson, MS.Chamber I, Mississippi Symphony Orchestra, Marta Szlubowska – Concertmistress, Viola Dacus – Mezzo-soprano, Crafton Beck – Conductor. Please contact www.msorchestra.com for details and tickets. Saturday, October 27th, 4 pm, Sunnybrook Estates, Madison, MS. Performance by the Ensemble Polonaise. Classical and popular music for easy listening. Click on Ensembles link of this website to learn more about the musicians. Friday, October 26th, 4 pm, The Orchard, Ridgeland, MS. Performance by the Ensemble Polonaise. Classical and popular music for easy listening. Click on Ensembles link of this website to learn more about the musicians. Thursday, October 25th, 7:30 pm, Recital Hall, Ford Academic Complex, Millsaps College, Jackson, MS. Polish Music Violin/Piano Recital. Works by Wieniawski, Szymanowski, Bacewicz, Mlynarski and Paderewski. Marta Szlubowska – violin, Danuta Szlubowska – piano. Free admission. Saturday, October 20th, 7:30 pm, Thalia Mara Hall, Jackson, MS. Mississippi Symphony Orchestra presents its’ Bravo 2 concert with the romantic Rachmaninoff’s Piano Concerto #3, Alexander Ghindin as a soloist and the Prokofiev’s fantastic Romeo and Juliet suites. Marta Szlubowska – Concertmistress, Crafton Beck – Conductor. For tickets please go to www.msorchestra.com or call (601) 960-1565. Tuesday, October 16th, 6 pm, Mississippi Museum of Art, Jackson, MS. Unburied Treasures evening at the museum. Music by Beethoven and Debussy in reference to life and work of William Hollingsworth (1910-1944), a prolific painter from Jackson, MS. Music provided by the Ensemble Polonaise. Click on Ensembles link of this website to learn more about the musicians. October 6-8, Ford Academic Complex, Lecture Hall – 215, Millsaps College, Jackson, MS.Performance Power Workshop with Prof. Burton Kaplan of Manhattan School of Music and the director the Magic Mountain Music Farm Retreats for all instrumentalists. Go to www.performancepower.org to learn more or contact Marta Szlubowska by clicking the Contact link of this website. Monday, October 1st, 7:00 pm, Bennett Auditorium, University of Southern Mississippi, Hattiesburg, Mississippi. Mendelssohn – Violin Concerto in E minor, Marta Szlubowska – soloist, University of Southern Mississippi Symphony Orchestra, Jay Dean – conductor. Thursday, September 27th, Natchez, MS. Mendelssohn – Violin Concerto in E minor, Marta Szlubowska – soloist, University of Southern Mississippi Symphony Orchestra, Jay Dean – conductor. Location and time TBA. September 23, 7:00 pm, St. Francis of Assisi Catholic Church, 4000 W. Tidewater Lane, Madison. A fun concert of the Marta Szlubowska Ensemble (strings and accordion). Music by Gershwin, Wieniawski, Dvorak, Garner, Bartok and others. You will be able to purchase the DVDs of the ensemble to enjoy at home or give as gifts. Please join us for an inspiring and entertaining free concert followed by a reception. Thursday, September 20th, 7:00 pm, “Symphony at Sunset”, The Cedars in Fondren, Jackson, MS. Marta Szlubowska, Concertmistress, Crafton Beck – conductor. Please go to msorchestra.com for information on tickets. Saturday, September 15th, 7:30 pm, Thalia Mara Concert Hall, Jackson, MS. Bravo Concert Series I, Mississippi Symphony Orchestra playing Mahler’s 5th Symphony, Marta Szlubowska – Concertmistress, Crafton Beck – conductor. Please go to msorchestra.com for information on tickets. August 27th, 7:30 pm, Millsaps College, Music Department Concert Hall. Faculty Recital featuring all the faculty of the Millsaps Music Department and guests. Marta Szlubowska – violin and Danuta Szlubowska – piano, performing I.J. Paderewski’s Finale from the Sonata Op. 13 for violin and piano. Wednesday, June 5, 3:00 pm, Williams Recital Hall, Mississippi College, Clinton, MS. Marta Szlubowska Ensemble performed as part of the Premier Orchestral Institute, an international orchestra festival sponsored by the Mississippi Symphony Orchestra. Repertoire included works by Abreu, Wieniawski, Massenet, Villoldo, Monti, Bacewicz, Gershwin and Gade. Tuesday, June 4, 7 pm, Williams Recital Hall, Mississippi College, Clinton, MS. Tango Rendezvous Ensemble performed various tangos by Astor Piazzolla and others arranged by Alejandro Drago. Friday, May 24, 7 pm, Prentiss Club, Natchez, MS. Tango Rendezvous Ensemble performed an evening of tangos by Astor Piazzolla and others arranged by Alejandro Drago. Monday, May 13, 7 pm, St. Francis of Asissi Catholic Church, Madison, MS. Marta Szlubowska Ensemble is a newly formed ensemble in Jackson! Don’t miss it! Program includes classical and popular favorites. Bring the whole family to enjoy this high energy, fun program. Friday, April 26, 7:30 pm, Mississippi Museum of Art, Jackson, MS. MSO’s Chamber IV. MSO String Quartet (please click on the Ensembles link on this website to learn more), Woodwind Quintet and Brass Quintet. Sunday, March 3rd, 7 pm, Our Redeemer Luthern Church, 1799 Clinton-Raymond Rd, Clinton, MS. Inaugural performance of the Marta Szlubowska Ensemble performing classical and popular favorites! Reception following. Free, donations welcome. Don’t miss it! See you there! Sunday, February 3rd, 3 pm, St. James’ Episcopal Church, Fowler Hall, Fondren District, Jackson, MS. Concert to benefit Julia Kirk’s tuition fund for St. Andrew’s Episcopal School. Julia will be joined by her family (Ensemble Polonaise) and Marta Szlubowska Ensemble (classical/popular string ensemble and accordion!) to bring you a fun concert that will leave you singing and dancing! Music by Mozart, Ravel, Wieniawski, Khachaturian as well as popular tunes by Gade, Garner and Abreu. Reception following the concert. We look forward to seeing you all on Sunday!